"May you live in interesting times" is supposed to be an old Chinese curse. The idea is that "interesting" means filled with surprises and change, which was not an appealing idea to those seeking the safety and security that continuity provides. Astrologers aren't surprised by the culture-shaking nature of current events, as we have been talking about the seven formative 90-degree squares between radical Uranus and transformative Pluto that began this June 24 and end on March 16, 2015. Slow-moving aspects like these tend to come early, stay late and influence our lives from the first to the last. These are indeed very interesting times. For the politically inclined in the U.S., much attention is given to the presidential race that culminates with the election on November 6, a date we'll return to later in this blog. A number of prominent conservatives have recently commented on the poor campaign of Republican candidate Mitt Romney. It's easy to skewer this rich man who seems uncomfortable in his own skin. 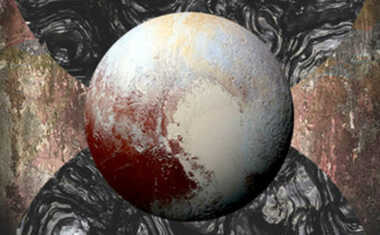 For some he represents Pluto in Capricorn and the concentrated power and wealth associated with these symbols. Capricorn is about top-down management, and a plutocracy is a society ruled by the wealthy. But while I don't sympathize with Romney's ideas, it's simplistic to think that this campaign is all about him. We are living in interesting times and espousing the low tax, small government positions that have dominated the U.S. since Reagan's election in 1980 and which are in need of renewal. Of course, it's fair to say the same thing about Obama and the Democrats. In Christopher Hayes' book, "Twilight of the Elites: America After Meritocracy," he quotes economist Rob Johnson: "For years, the right has worshipped markets and now they have reason to be skeptical. Meanwhile, the left has romanticized government and now they have reason to be skeptical. So what you've got now is a society that is demoralized because they have nothing more to believe in." If the world is only viewed through the lens of elective politics, having nothing to believe in is a terrible thing. Yet from a metaphysical perspective, in which individual growth and awareness are the central sources of power, this might be seen as a positive thing. Yes, there are real world prices to pay for failing political, economic, educational and other social systems. Change does not come without it costs. However, viewed spiritually the breakdown of these institutions may free individuals and groups to come up with innovative new ideas about how to live and govern ourselves. Uranus, the planet of invention, is in independent Aries, as I've mentioned frequently, reinforcing the notion that new roads for human development will come from new sources. 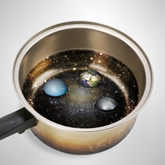 On September 19, Uranus was exactly square to Pluto to stir the social pot. 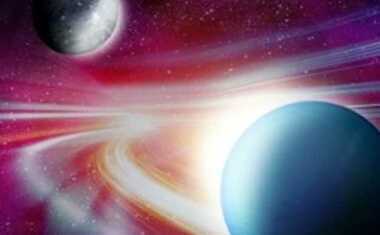 One of the challenges of Uranus and revolutions is that we don't know where they will turn. The Arab spring is a good example of the breakdown of the old order that unleashes diverse forces that can be expressed in both progressive and regressive ways. People go to extremes when old barriers fall, making it even more important for individuals to find peace and meaning within themselves. Shifting gears, communicative Mercury turns retrograde on November 6, Election Day in the United States. This backward turn of the messenger planet occurred on Election Day in 2000, when the Florida ballot debacle put the vote in the hands of the U.S. Supreme Court. In principle, this election should be equally chaotic, with a multitude of problems that may muddle the outcome. New restrictive voting rules and the mysterious black boxes that count the ballots are probable sources of confusion. However, a more desirable interpretation of Mercury's retrograde shift is that we will use this election as a turning point in the national debate. Perhaps the political polarization that has been so intense will soften as we look more deeply into the underlying suppositions we use to support our arguments, and begin to make the changes in ourselves that can change the nation and the world.